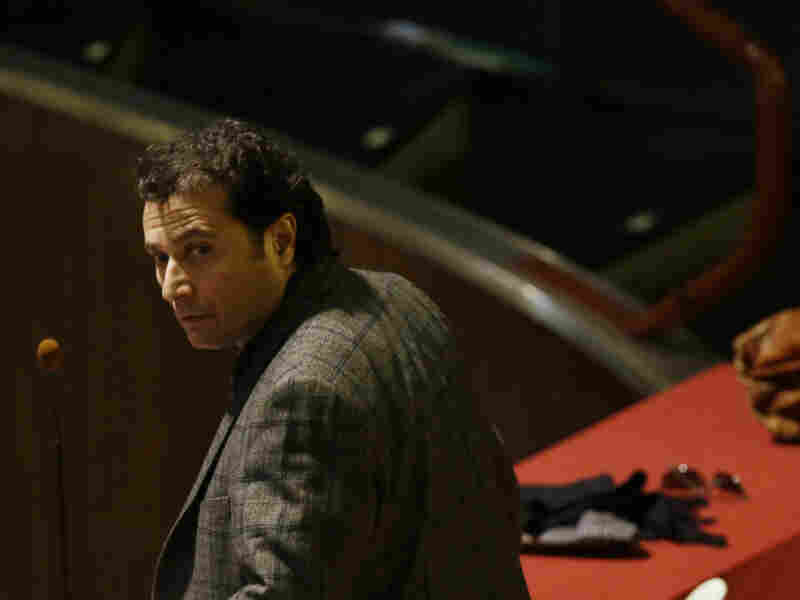 Costa Concordia Captain Found Guilty Of Manslaughter : The Two-Way Captain Francesco Schettino was sentenced to 16 years in prison for his role in the disaster, in which an Italian cruise ship hit rocks in 2012 and sank, killing 32 people. Francesco Schettino attends his trial in Grosseto, Italy, on Wednesday. The captain of the capsized Costa Concordia luxury liner has been convicted of multiple charges of manslaughter and sentenced to 16 years in jail. The captain of the Costa Concordia, the Italian cruise ship that hit rocks in 2012 and sank, has been convicted of multiple counts of manslaughter and sentenced to 16 years in prison for his role in the disaster that killed 32 people. NPR's Sylvia Poggioli tells our Newscast unit that prosecutors had asked for a prison sentence of 26 years for the ship's captain, Francesco Schettino. Schettino, the sole defendant, was charged with multiple manslaughter, causing a shipwreck and abandoning ship. Prosecutors said that he took the ship too close to the shore off the Tuscan island of Giglio, and that he abandoned the vessel before all 4,229 passengers and crew were rescued. Schettino denied abandoning ship, insisting he was thrown into the water when the vessel ran aground. Sylvia adds: "Ship owners Costa Cruises, a unit of Carnival Corp., paid a $1.1 million fine; prosecutors accepted plea bargains from five other officials."